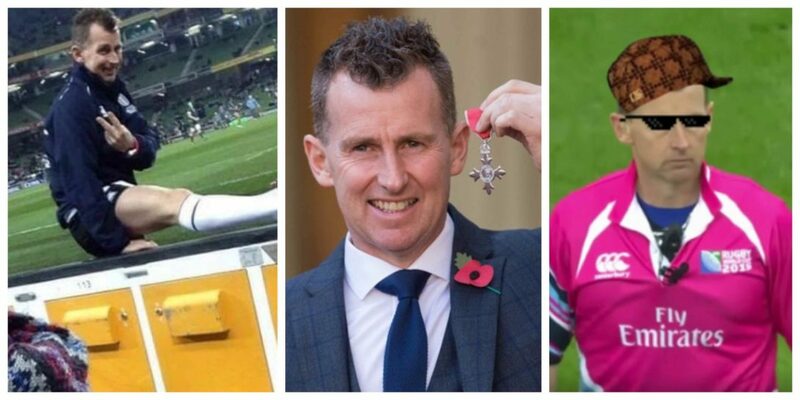 As one of the best referees in the World, Nigel Owens is appointed to some of the best games in all competitions. We visit the Heineken Cup for number 5 where Belfast side Ulster and English Premiership legends Leicester Tigers line up in a crucial pool match. Tigers centre Anthony Allen doesn’t agree with the penalty Nigel’s just given against his side so he complains. With most referees you might get away with it, but you’re making a huge mistake complaining to Nige. With another football-related response, he replies to Allen, “The football stadium is 500 yards that way”. It’s the opening match of the European Rugby Champions Cup (Heineken Cup) on a cold night at the Twickenham Stoop. Two Aviva Premiership sides take to the field – Harlequins and Wasps. A cwtching session between the players results in one of Nigel Owens’ best put-downs… “It’s embarrassing… If you want to cwtch, do it off the field, not on it!”.